PDF Editor by Icecream Apps is an all-in-one solution which lets you edit PDF documents in many ways: edit text, manage pages, convert and much more. Windows version. Icecream PDF Editor allows you to view PDFs, edit text, annotate, add and edit objects (such as images, lines, arrows, etc. ), manage pages and much more. 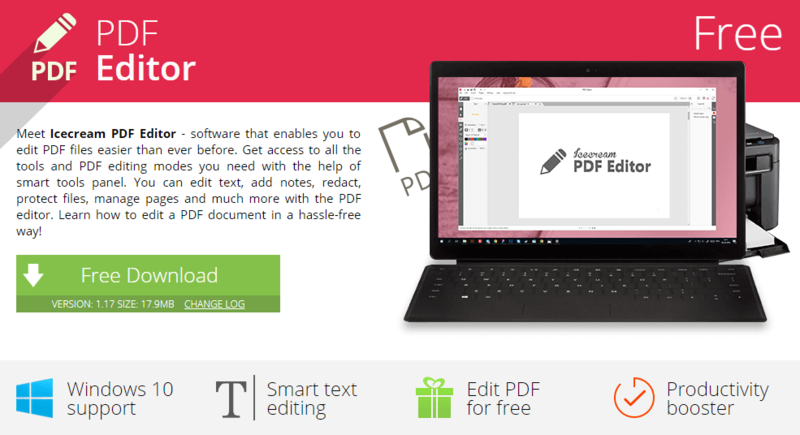 Icecream PDF Editor is a free all-in-one PDF editor and viewer for Windows 10/8/7. It comes with powerful tools that let you easily edit an annotate your PDF documents.